Another lovely product review from Workshop on the Web. Sam has taken the time to review our Mount 'n' Stamp Foam and this is what she had to say about it. "Stamps come in a variety of forms, mounted onto wooden blocks, with a foam backing (which allow them to be adhered temporarily to acrylic blocks) or ‘loose’. You are more likely to get ‘loose’ stamps in the form of red rubber stamps. 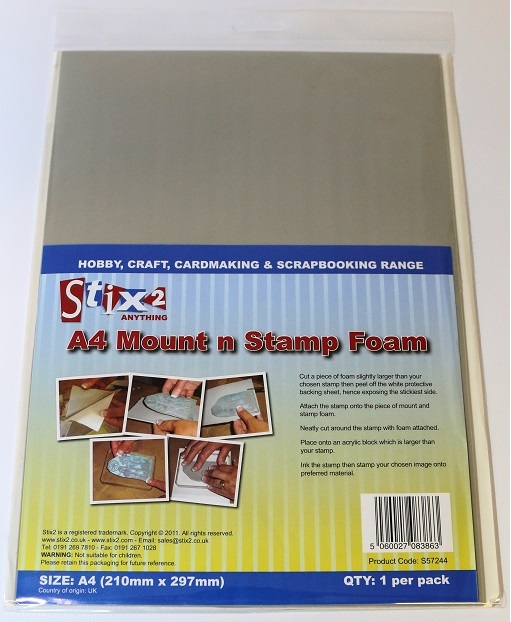 The Mount n Stamp Foam is designed to transform these stamps into those where you can adhere them onto acrylic blocks. It is very easy to use. The foam comes as an A4 sheet and you cut it out to the size of your stamp. 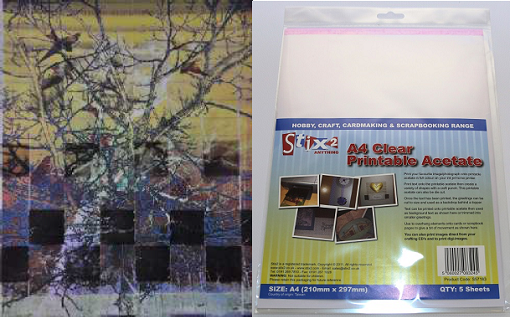 Peel the backing paper off the foam, stick to the stamp and you are ready to print. I used this on a moulding mat. It gives you a firmer surface to print with or make an imprint into clay." Stix2 A4 Mount n Stamp Foam is available from www.stix2.co.uk.